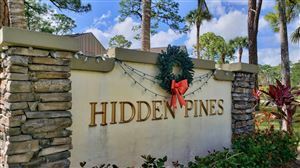 Great corner unit town home in the quiet community of Hidden Pines of Wellington. Gated courtyard entry and large rear patio at the unit provides additional living space and privacy, adorned with pavers. Split bedroom plan with large open living room space and dining area. Kitchen was expanded and has plenty of counters, room for a breakfast table and has full pantry. 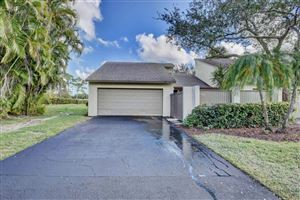 Washer and dryer are in the garage.Low HOA.The community of Hidden Pines is a well established neighborhood in the heart of Wellington with matures trees throughout and park-like setting. Closed to shops, fine dining and all equestrian venues and events. Great buying opportunity! Here is the opportunity you were waiting for in the heart of Wellington. Spacious , fabulous , well kept unit 3 beds /3 bath unit, First floor, corner unit, totally remodeled. this unit features wood burning fireplace, bathroom in each bedroom, granite counter tops , stainless steel appliances, tile and laminate flooring throughout. 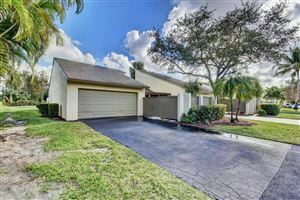 Located close to shopping ,Publix, Wellington Mall, amphitheater, restaurants. Hoa includes Insurance. Easy to show!!!! 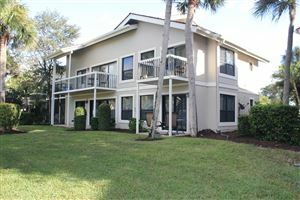 Beautiful renovated 3rd floor condo unit located in Saint Andrews at the Polo Club. Home includes impact windows, fireplace, stainless steel appliances, granite, stone wall and back splash. Both bathrooms have been updated and new flooring in 2016. Water heater and AC a few years old. Community features a pool, tennis courts, gym and racquet ball. All this plus living close to the Equestrian show grounds, shopping, dining and lots of entertainment. This community has amazing income potential for seasonal rentals. Buy now so you can have a place to stay for next season or to book early for seasonal rentals next year. Call to see today! 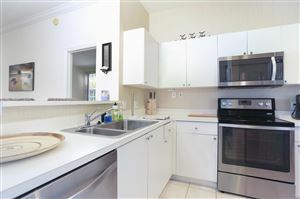 Spacious 3 bedroom 2.5 bathroom townhouse in sought after Wellington. This large home has been completely renovated with granite countertops and stainless appliances. Enter your home through your private courtyard. 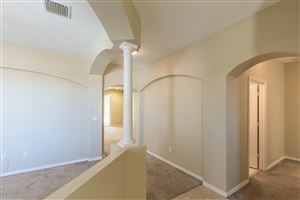 The lower level has a large living room, gorgeous dining room, and large kitchen with pantry. 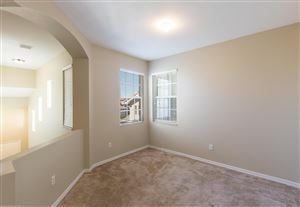 All bedrooms are spacious and have tons of natural light! Seller will provide a 1 year warranty. You will love to call this charming townhouse home. Desirable Wellington location in a great school district. Light and bright 2 bedroom & 2 bathroom with covered rear courtyard overlooking open grassy area will surely impress you. Updated finishes through out. 2 car garage with direct access. Totally renovated, tastefully appointed 2 Bedroom, 2 Bath 1 story townhome with open split floor plan, vaulted ceiling & new tile roof! Freshly painted & accented by new wood look tile flooring, window treatments, block baseboards & trim. New dream kitchen with high-end white shaker style cabinets, floating accent shelves, glass tile back-splash, quartz counters, stainless-steel appliances, fixtures & undermount sink. New A/C, front load washer & dryer. Master & guest bathrooms have also been updated with attention to every detail: contemporary style vanities, tile, lighting, fixtures, & shower enclosures. Walk to ''Field of Dreams'' park, shopping, dining, Wellington Amphitheater, & Wellington Community Pool. Great Wellington Schools! Close to showgrounds, Polo, and minutes from PBIA. Buyer receives $5000 Bonus! Very spacious & bright!!! Freshly Painted interiors and brand new appliances! Brand New Washer & Dryer too. Enjoy ''A'' rated schools, quiet neighborhood and a great townhome with the feel of a single family home. Wellington at a nice price. The home has a 1.5 car garage and very private patio entrance. Open floor plan with high volume ceilings. Eat in kitchen, living room/triple sliders to the patio. The entire yard is fenced for added privacy. The master bedroom is on the first floor, has lots of closet space. The other 2 bedrooms are upstairs and share a Jack-n-Jill bathroom. Accordion hurricane shutters. Clever Under-stairs storage closet. Location, location, location is premier in this newly remodeled Dartmouth floor plan. 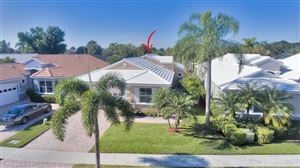 Located just minutes from the Equestrian center of Wellington, in the exclusive Wycliffe Golf and Country Club community, on a private lot with rows of Banyan trees, plus golf course and lake views. New contemporary style kitchen cabinets with deep drawers which provide tons of storage. 3 pendulum lights, granite water fall counters with expanded great room. 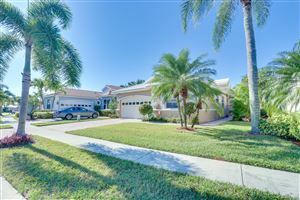 Enjoy your Florida sun room with family and friends, this residence is perfect for entertaining. Master suite features grey tone faux stone floors, with an eastern exposure. Beautiful sunrises, rolling golf courses, Banyan trees and lakes to start your day. Large walk in closet with plenty of room for seasonal or year around living. continued..
Second floor Tennis lodges condo with recent updates to the studio and newer appliances in the one bedroom unit. Lovely view of the water and close to the pool. The condo comes furnished with one exclusion, ( the horse picture over the dining room table). Partial impact glass recently installed., (all windows). Enjoy resort-style living at it's best in St. Andrews at the Polo Club! This 2 bedroom/ 2 bathroom condo has 2 master suites separated by a large living room. 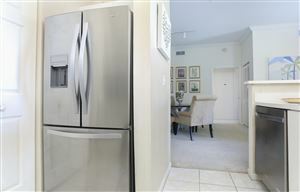 The kitchen has all newer stainless appliances! It can be purchased completely turn-key furnished and includes a 1 car garage. The community is gated and the clubhouse features a large resort-style pool, hot tub, tennis courts, fitness room and outdoor bar area. Welcome to this 2 bedroom, 2.1 bathroom condo located in the heart of Wellington. 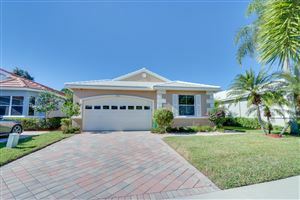 Home includes: ceramic tile and wood-like flooring downstairs, upgraded kitchen cabinets and granite counters, brand new carpet upstairs and fresh white paint throughout, attached car garage and dedicated parking spot in front of house. In addition, it's located in a coveted end unit offering maximum light with 3 more windows than center units. 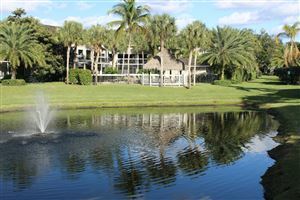 Located in the coveted Palm Beach Polo Club, this second floor unit has a lovely view of the illuminated fountained pond. The unit features brand new impact windows/sliders complete, timeless stone floors and two rentable units. Both the 1br & studio have been updated and have been successfully rented both seasonally and off-seasonally since purchase. Beautiful and spacious villa with great natural light and open floor plan, vaulted ceilings, open kitchen, brand-new ''wood'' tile throughout, freshly painted. Family friendly community with a fabulous clubhouse, pool, tennis, community room, kitchen, and fitness center. 24 hr manned and gated security. All located within walking distance to all of the many restaurants and shops at Wellington Green! Location! Location! Location! Great townhouse close to showgrounds and polo. Open floor plan with tile - no carpet. 2nd floor is freshly painted with new laminate flooring throughout and on stairs. 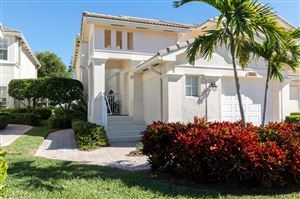 Nicely remodeled high end condo in the great community of Palm Beach Polo & Country Club. Beautiful kitchen with quartz counter tops. Nice view to a polo field. 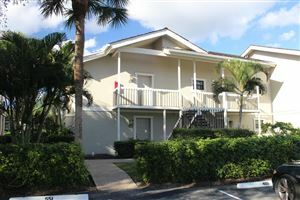 Conveniently located on the first floor, minutes from WEF, shops and restaurants. Immaculate unit on the second floor over looking serene green space with lush trees. Enter through the foyer and up the stairs where you will find the entire living space. This is an open and bright split floor plan. The kitchen has upgraded cabinetry, granite counter tops, loads of cabinets, pantry, an eat-in area and a newer stainless steel refrigerator. There is a formal dining room for large family dinners. Enjoy the family room with sliders out to the large screened patio. The master suite has a walk-in closet & a wall closet. The master bath has a soaking tub with separate shower and the vanity has a marble top with double sinks. Two additional bedrooms, guest bath and interior laundry room, newer AC are few additional features. Ceramic tile in living area & carpet in all bedrooms.